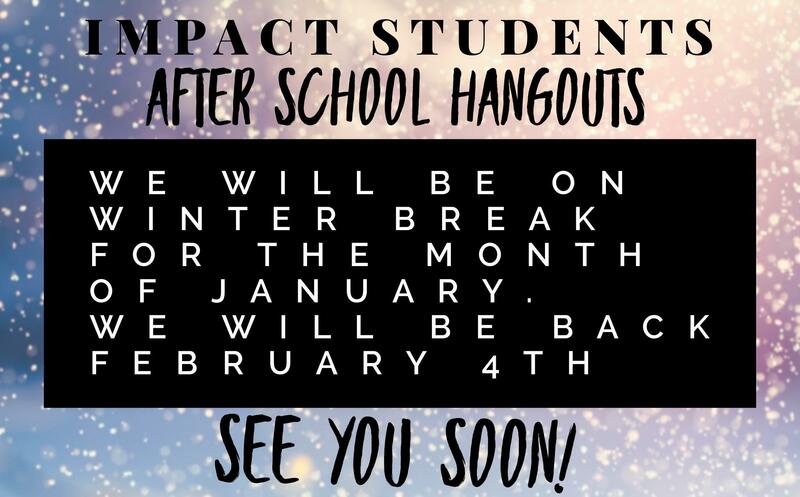 Do you need to be a member of Impact City Church to attend Student Hangouts (aka Youth Group, Student Group)? No. 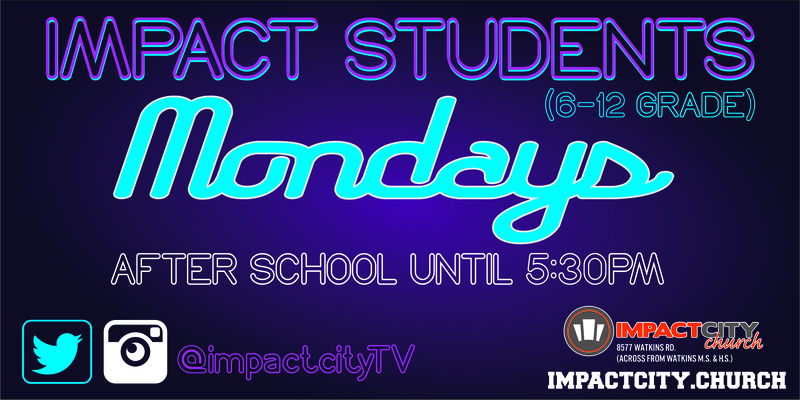 Mondays are for any student that wants to connect with other students in a fun & safe environment. What time are the Student Hangouts on Mondays? Monday hangouts are from 2:30pm – 4pm. Can students stay after on Mondays until Grow Groups begin? Do you need to be a member of Impact City Church to attend a student Grow Group? No. Grow Groups are for any student that desires to grow closer to God, closer to friends, and closer to their purpose. Are students required to stay on church property once they sign-in on Mondays? Yes. Once a student signs in, they must stay until 4pm. If a student needs to leave the church before 4pm, they must be picked up by a parent. However, after 4pm we do not require students to “sign-out”. Please make arrangements for them to be picked up, or provide them instructions on where to go at 4pm.